The Insatiables - I Know My Scars. Background promo - Perth based indie-popsters The Insatiables are gearing up for the May 9 release of their second EP 'Impatient Creatures', with a live launch May 22 at everyone's favourite watering hole The Rosemount Hotel. Spearheaded by lead single 'I Know My Scars', the six track EP was recorded at Underground Studios with resident producers Mark McEwan and Brody Simpson. 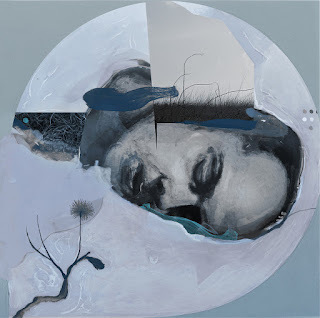 'Impatient Creatures' treads the alternative path, not shy of a trumpet melody or a cinematic sub effect, ultimately providing an expansive landscape. 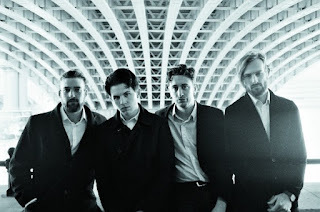 The moodier tracks could sit on a shelf with artists like Lana Del Ray and London Grammar where cyclical guitar and piano riffs swirl around a commanding vocal line. Background promo - After joining forces only a year ago and already being compared to huge acts including London Grammar and Young Galaxy, the London-based indie-electro quartet Kid Cupid are definitely ones to watch in 2016. 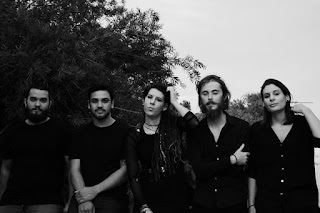 Their upcoming new single Siren is the perfect introduction to what’s yet to come. Filled with backing harmonies highlighting the importance of the lyrics and topped with Laura’s incredible vocal delivery instantly draws comparisons to Chvrches’ Lauren Mayberry. Background bio - Originally from Reno, Nevada, Berry created his first album for a school project while studying in Los Angeles. After performing along the West Coast in a duo, Berry decided that he was meant for a career in music and relocated to Nashville. 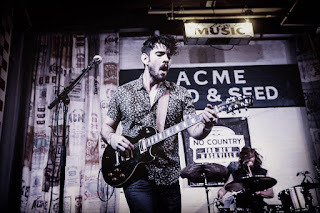 After several months of sleeping on a couch and working to catch the attention of the local press, Berry’s “ample supply of good hooks and riffs” (Nashville Scene) eventually gained the praise of critics throughout Nashville and beyond, earning him spots at well- known festivals, including North by Northeast in Toronto, New York City’s CMJ Music Marathon and SXSW’s Red Gorilla Festival. 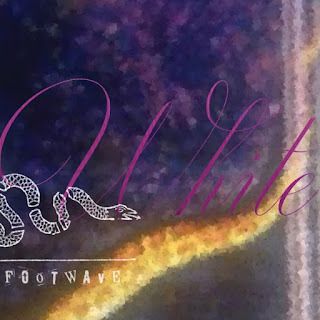 50 Foot Wave - Bath White. What The Promo Says: This LA-based power trio formed in 2003 by Kristin Hersh and Bernard Georges of Throwing Muses (with Rob Ahlers on drums), was named after the lowest note audible to human ears. The band was intended as an outlet for the noise/math rock pieces that didn't fit the aesthetic of Throwing Muses or Kristin Hersh's solo work. They are known for pioneering the name-your-own-price movement. 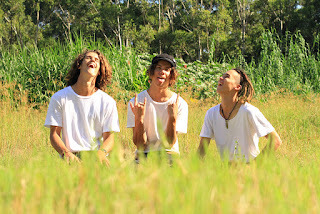 Background promo - Nelipot are a youthful trio of bare-foot, music enthusiasts from the Central Coast, New South Wales. Brought together on the beach side streets of Terrigal, the lads joined and began busking, to feed their need for grooves and to make some extra cash to supply themselves with kebabs and money for fuel. Russell Morgan - You Don't Feel. Words from Russell - "You Don't Feel" is from my new album "Begin Simple", which will be released, May 13th 2016, by Ray Recordings. Throughout the writing of the new record my songs developed their own magic, to me, they are documents of moments and feeling or things that’d I’d been a part of, or had witnessed. Sometimes I can struggle with my writing process, I have to be sincere to myself. You don’t feel represents being true to that ideal. Without a passion you don't feel. My songs were recorded and filmed live by Filippo Gaetani at Wilddog Studio. The production of the album took on a new phase. We introduced clever rhythmical aspects and electronic instruments, adding to my folk roots. Filippo was key in bringing these aspects to life, forming key parts where necessary and being absolute and true to the production. The idea was to get out of the box, creating new dimensions within these stories. It worked. 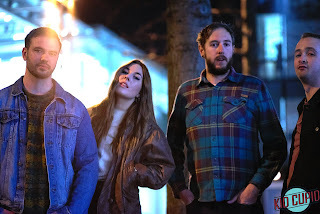 Background promo - Unsurprisingly, the track has recently grabbed the attention of BBC Introducing London who recently named the south coast four-piece their featured artist. Absolutely soaked in catchy hooks, the new single “Di Caprio by Ellekaye has managed to turn heads and perk ears in the Brighton music scene. In a town where “anything goes” it’s often hard to get noticed but raised on a diet of 90’s dynamos such as Blur, Supergrass and Suede, Ellekaye’s sound is one of true distinct diversity and is a clear niche heard amongst today’s sounds.